Click here for a video from the BBC; click here for an article and gallery from Get Surrey. 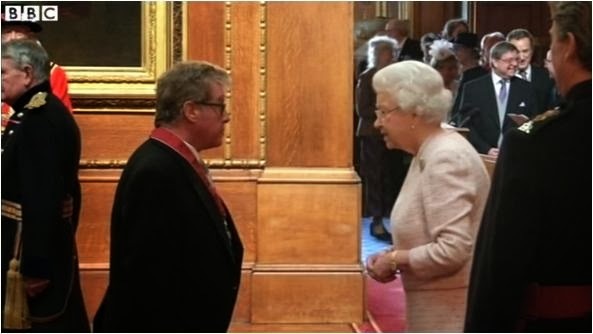 Where there are celebs, there are brooch pictures - at least when it comes to normally ignored investitures, that's the case. Today's glimpse of the favorite Flower Basket comes courtesy of Penelope Keith, who is now Dame Penelope, and Michael Crawford, who now has his CBE.